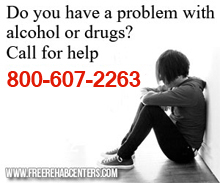 Okeechobee, FL Free Treatment Centers, Affordable Rehab Centers. Private, Christian, residential alcohol and drug rehabilitation program. A \"working camp\" for men. Usual stay is 3 to 6 months, depending upon substance abused. ELIGIBILITY:Men. HOURS:Monday-Friday / 8 am-5 pm INTAKE PROCEDURE:Contact by phone.